On New Years Day and New Years Eve, I like to have champagne and I love to include it in the dishes I serve, knowing this is my last Hoorah before my sanity comes back.....well hopefully! My guests always ask for the recipe and think I’ve been cooking for hours, but it is done in little more than half an hour. And there is zero fat added; the chicken cooks in Champagne. So, in reality, I have already eased back into my usual eating pattern. Cooking with wine adds flavor but the calories of the alcohol burn off in the pan. Vermouth, Pernod or any number of earthy reds or whites can add depth to a dish, but for elegance of finish nothing beats Champagne. Place the chicken breasts in a roasting pan, and season them. Pour 1/2 cup of the Champagne over breasts. Make a slit in each breast and insert a piece of shallot. 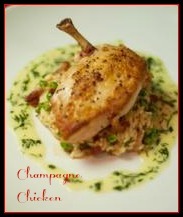 Remove the chicken from the broiler, baste with the pan juices, and add the remaining 1/2 cup of Champagne. Adjust the oven temperature to 475 degrees and bake the chicken for 30 minutes, basting once or twice. I Serve over Basmati rice. Sautéed wild mushrooms add a special touch and go beautifully with Champagne. (In a warm frying pan with a touch of olive oil, add clean, roughly chopped mushrooms, and cook for a few minutes. 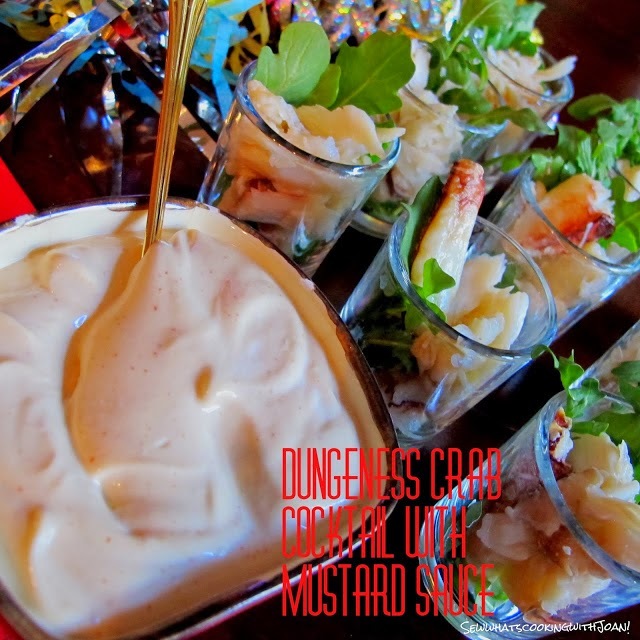 Add a few drops of lemon juice, freshly chopped sage, seasoning to taste and 1 tablespoon of butter.) Pour the cooking juices from the chicken over the meat and rice. 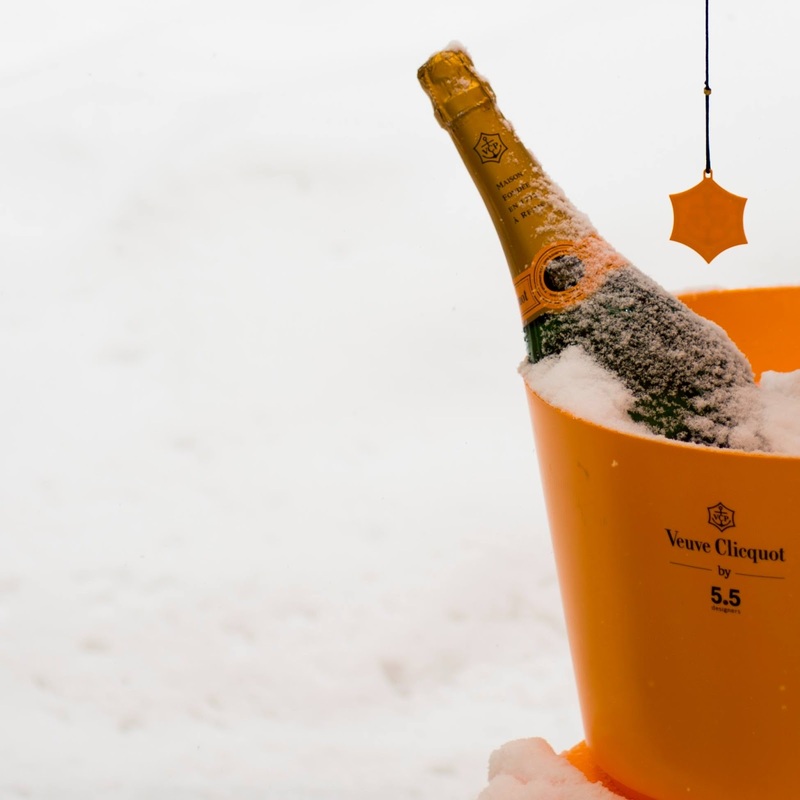 Serve the remainder of the bottle of Champagne. 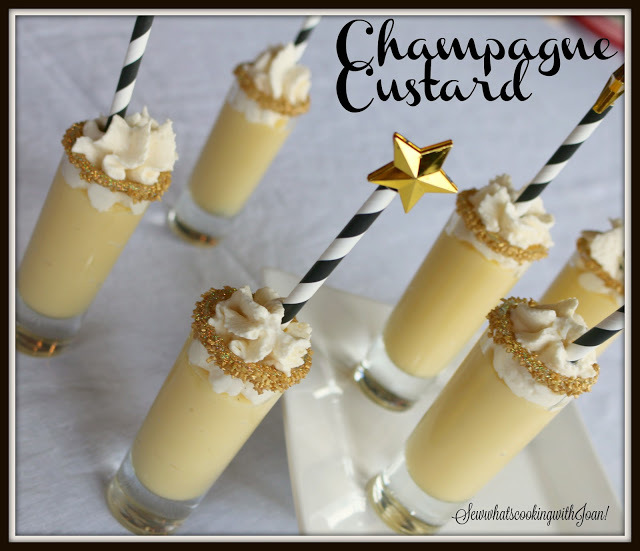 Are you looking for more New Years Eve menu ideas? I have several right here!! 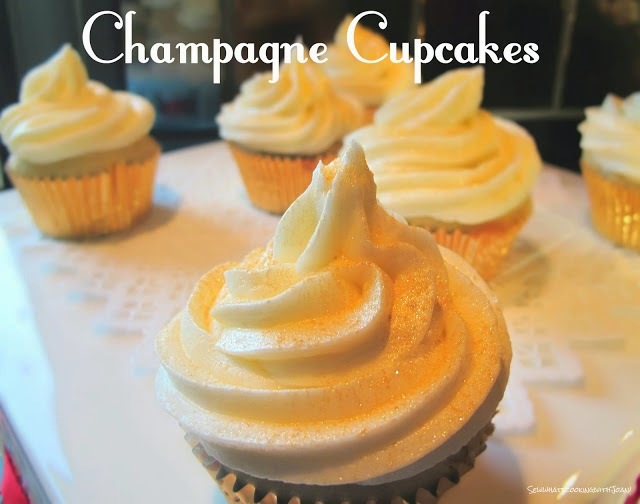 For these delicious light Champagne Cupcakes click the link! And pair with this frosty beverage! More ideas? 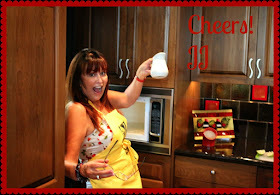 Just go to the Master Recipe List or to my New Years Wrap up! New Years Eve is a last chance to be elegant, decadent and outrageous before the moral resolves of the New Year begin. 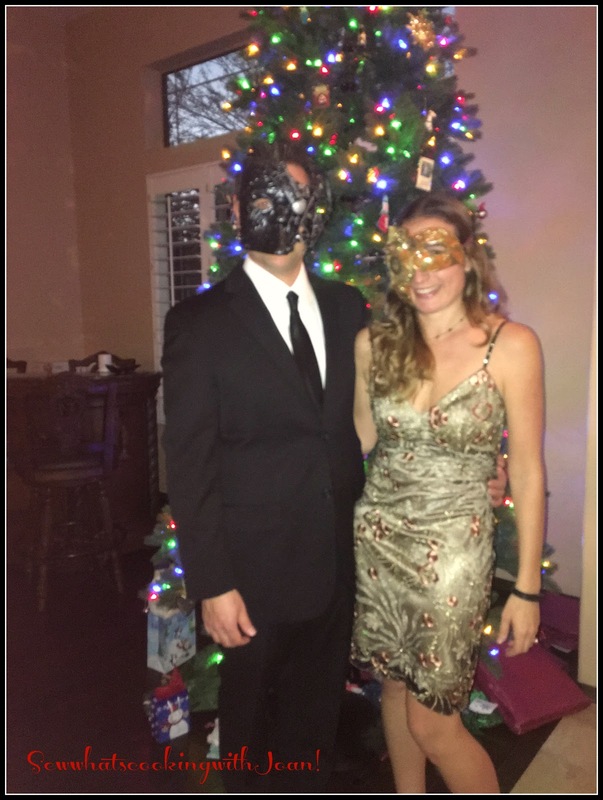 This year maybe heighten the evenings drama by encouraging guests to wear fancy dress type masks to maintain a mystery until midnight. Be sure to get all the mischief out of your system before the clock strikes twelve for the first strains of "Auld Lang Syne" masks and old habits must be tossed aside to begin the year anew. This photo is of my daughter and son-in-law. 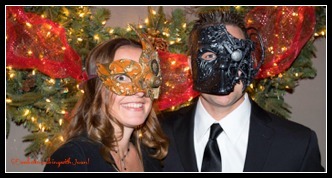 They are dressed for a holiday party masquerade, gorgeous! They won "Best Dressed Couple" and a $250.00 gift card!! A fun idea for your party planning! Enjoy this last week of 2016 and let's all pray for peace and goodwill in 2017. This is a time to reflect on the past and look forward to the future. Happy New Year!